For years, print advertising has been a common form of marketing in the geospatial and hydrographic industries. And although a clear shift from print to digital is visible, advertising in print certainly remains something that shouldn’t be underestimated. Printed magazines have always been strong ROI performers and print definitely isn’t dead! Click here for five reasons to advertise in print. The list below shows the most frequently used advertising options in the geospatial market. Most industry magazines do not sell their front cover, but sponsored back covers and inside covers are common advertising options. Practically all industry publications offer the opportunity to place advertisements on the pages inside their magazines, and the options are very diverse. To attract extra attention you can opt for materials that are inserted in a magazine. Commonly used formats are flyers, cards or a belly band. Broaden and expand your target audience through sponsored articles or case studies. Many magazines in the geospatial industry offer these options nowadays. And if you’re not able to write articles yourself, then there are often many options for creating content. Do you want full editorial control? Then you should probably opt for a tailor-made magazine. The GIM International INSPIRE special is an excellent example of this. The digital geospatial market is evolving on a daily basis. Whereas ten years ago websites only had banners, today new advertising opportunities such as video marketing, advanced targeted marketing and content marketing are really starting to take flight. These new possibilities can also be used for various purposes, e.g. brand awareness, lead generation, customer education and more are all possible. Almost every website in the geospatial industry offers banners as an advertising option. Common formats are leaderboards, rectangles and full banners. The advertorial is a familiar sight not only in newsletters, but also increasingly on homepages and category pages of websites. Geospatial solutions can be used in countless applications that ‘the outside world’ might not immediately think of. The use of videos offers an excellent opportunity to show advanced techniques and projects in an easy-to-understand way. An excellent way to get your message straight into the inbox of people who are not in your database. Create your own newsletter or have one made! 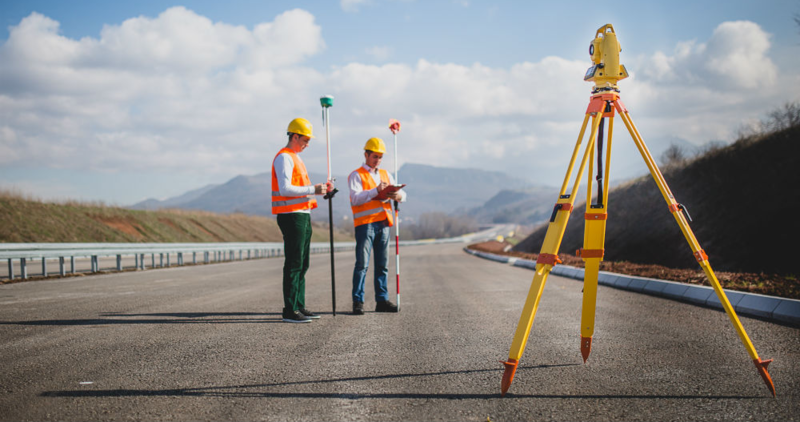 The geospatial industry is a niche market, but can still be easily divided into different interest groups. Advanced targeted marketing offers you the opportunity to address your message to a specific group of potential customers. Do you want to know more? View the infographic. Increase your brand awareness by connecting your name to an event through a sponsorship package. Giving a lecture or workshop at an exhibition or conference is an excellent way to highlight your expertise to potential customers. Physical presence with a booth is a well-known and common way of event marketing. It is an ideal opportunity to interact with customers and prospects and to work on building mutual trust and creating goodwill. Especially large events such as Intergeo create a real ‘buzz’ via industry media such as trade magazines and websites. Use these moments to reach your audience with targeted messages. It goes without saying that you have to think about your message very carefully, because you won’t be the only one hoping to benefit from the marketing buzz. Besides the use of existing industry events, you can also choose to organise your own event. Companies such as Esri and Trimble have been doing this for years with their annual user conferences, where users from all over the world come together to discuss and learn about new technologies, products and projects – an excellent way to work on goals like commitment and customer loyalty. If your own events are still a step too far for your company, organising a webinar is a great way to start small with event marketing. Share your knowledge in an interactive way and become a thought leader in your niche! Exposure via earned media is one of the most effective types of attention, but unfortunately it is also one of the most difficult to achieve because you have to depend on third parties sharing your content. Partner marketing can help you with this. For example, think about arranging mutually beneficial deals in which you each do something for the other, or think about using elements from event marketing such as holding a lecture or workshop at a conference or gaining access to an event’s network. Many events, institutes and universities have their own databases that you could use to send a mailing (although this is a bit more complex than it sounds due to increasingly strict privacy regulations). Last but not least, there are also many potential partners that have their own media publications, such as magazines and online blogs, that you could engage in a partner deal.